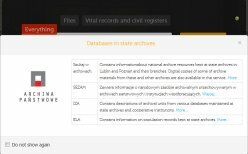 This web site directory is PGSA’s first step to inform and build awareness in the ability of our members to access “Digitized Polish Vital Records” via the internet. In addition, we will strive to mobilize our members to volunteer in the effort to transcribe and / or digitize Polish vital records before they fall victim to the ravages of time and are lost forever. This web site was started in 1996 by Debbie Greenlee after her first trip to Poland. To date it contains photos from 750 Polish villages and after each trip (every other year) more villages are added. The site includes Debbie’s Trip Diaries, phone books from the Bukowsko, powiat Sanok area and many indexes to various Polish records, all filmed by Debbie. It also describes two books available on the site: (1) Bukowsko Gmina by Jerzy Zuba, a small history book about the gmina Bukowskko, and (2) Kronika Bukowsko Book by Kazimiera Kochanska, a Polish school diary about life in Bukowsko just after World War II. This site is multi-lingual as you enter and scroll the various databases available. In the tab “Cemeteries” you may search the transcription of ancestors buried in cemeteries across the province. In the tab “PomGenBase” you may search the transcription of vital records held by local Registry Offices or Parishes as available. Here is an excellent description of the Kujawsko – Pomorskie Province in Polish. I found no digitized documents on this page as of yet. The Szpejankowski family has its roots in the village of Strzygi in the administrative district of Gmina Osiek within Brodnicka County, Kuyavian-Pomeranian Voivodship, in north-central Poland. It lies approximately 5 kilometres (3 mi) south of Osiek, 15 km (9 mi) south of Brodnica, and 53 km (33 mi) east of Torun. This beautiful family site contains indexes for nearly every church in the region and is an excellent resource for those with family in this area. Very easy to navigate and well laid out. 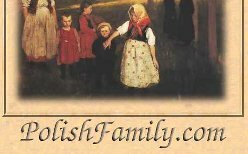 This Lubusz Genealogical Society site is in Polish with no English aids. I did not find any digitized vitals here but in the tab areas “Pliki i Opracowania” or files you will find a transcription of 5000 Polish officers interned at Woldenberg Camp. This site is in Polish with no English assistance. Olsztyn is the capital of the Warmian-Masurian Voivodeship in North Eastern Poland. The digitized records are primarily from the German era and you may have to determine the German name for your Polish village to be successful. The link will bring you to the dialog search table. The tab zespołu will give you groups of records and Nazwa oryginalna – Original Name will give you a defined area. Just play with it for a bit. There is a wealth of records but the naming is mixed German – Polish. It’s not friendly, but it is worth the look. This site is the work of Łukasz Bielecki in Poland and a host of volunteers around the world (myself included). The site allows one to search for marriage data primarily in the German Partition. The URL above will take you to the Polish version, but an English version is available upon request at the very top of the page. It’s really not necessary as the site is very user friendly. Go to the dialog box Pan młody – Groom and the input box Imie – name, use the drop down to select the given name if listed. If not select Dowolne – Any. Next move to the dialog box Nazwisko-Surname and enter it … if you are unsure of spelling you can wildcard the entry. If you know the same information for the Bride – Panna młoda enter it and press Szukaj-Search or if finished Wyczysc-Clear. You may search for bride, groom or both to receive information. If you know the Region your family lived in you can speed the search by selecting it in the drop down dialog box. Now the downside, this is a very busy site and sometimes you just can’t get in … go back …it’s worth it … This site is a prime example of a job well done! 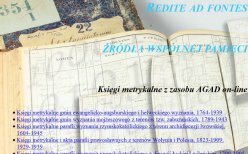 This site is in Polish (some English assistance) dedicated to indexing the vital records in Greater Poland Voivodeship (also known as Wielkopolska Province, or Województwo Wielkopolskie). You must register to use the site. This web site is available in Polish and English versions. 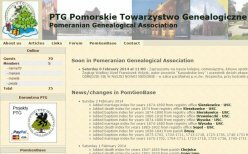 Geneteka is a database created by the Polish Genealogical Society in Poland. It is the largest database on Polish genealogy, containing over 10 million indexes from many regions of Poland. For how to use instructions see: Geneteka database. This site is in Polish with no English aids, however it is easy to navigate and provides the user with valuable information on Parishes across Poland. The general site is in Polish and some English, you must log in (free) to use the message board or search functions available. Here you will find digitized vitals for Kielce – RPL , Grodzisk – GPL, Koszalin – GPL, Pultusk – RPL, Sandomierz – RPL, Lodz – RPL in Southeastern Poland. The general site is in Polish with English help. Although there is a log and register, I could not get it to function. No need you can access everything. This site is an index of transcribed records organized by administrative unit. At the top of the page click Woj. And select Lodzkie you will find a table organized by Parish, vital record and the site where it may be accessed. Play with it a while and you will find it quite friendly. This site is in English and very user friendly. You will need to register and log in to access the database and /or use a number of other tools in the site. It contains predominately Jewish families but you may find help if your ancestor was living in a Jewish Shtetl (Town or viliage with a large Jewish population) www.jewishgen.org/databases/Poland/. This site is worth a look for its many tools. This site is in Polish with no English aids. I did not find any digitized vitals. In the tab area Nekropolis you will find an excellent transcription of the cemetery in Torun. In addition www.nasze.kujawsko-pomorskie.pl/o-portalu.html is an excellent description of the Kujawsko – Pomorskie Province. This site is in German with no English aids. It contains digitized records for the Wroclaw-Breslau. You will need to download DjVue to see the records. This link will take you directly to the digitized library of the Poznan Branch. This link will take you directly to the digitized library of the Konin Branch. 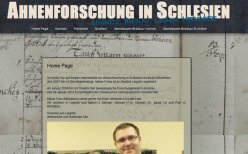 This link will display the digitized records for the Lutheran parish, serving the villiages of Dąbie (Dombie), Baranowiec, Dąbskie Holendry, Labedz (Labendz, Lusie, Mrowisko, and Zalaski. When you open the link (click) UNITS then in the column DATE select the period of interest. Dąbie (Dombie) Catholic parish. The years of 1808-1825, before the formation of the Lutheran parish, holds many German and Polish names, especially from the locations of Dąbie (Dombie), Baranowiec, Dąbskie Holendry, Labedz (Labendz, Lusie, Mrowisko, and Zalaski. When you open the link (click) UNITS then in the column DATE select the period of interest. Here you will find Koło Lutheran parish for the years 1843-1858 a mixture of German and Polish names. When you open the link (click) UNITS then in the column DATE select the period of interest. Bierzwienna Catholic parish. Many Polish and German names mainly from the villages of Lubonskie, Holendry, Kamionka, Tarnowka, Laczowka, etc., during the period 1808-1835. When you open the link (click) UNITS then in the column DATE select the period of interest. 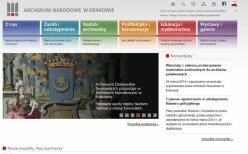 This site is in Polish with no English translation tabs but it’s not that difficult to navigate and contains a wealth of digitized information. It concentrates in the areas of eastern Poland, Ukraine and Russia once a part of the greater Polish – Lithuanian empire. The home page will give you a list of selections (click) and you will go to an archive header page. Scroll down to Inwentarz – Inventory and (click) galleria ze skanami … Gallery of Scans … ENJOY!!! This English language site maintained by Alisa Loeper has transcribed vital records for 11 parishes in Slupca County (with more in process). This area was under German or Russian governance over the years. It is very user friendly and a must see for any with family in this region. There are no digitized records as of yet. Kielce is a city in central Poland of 204,891 inhabitants (June 2009). It is also the capital city of the Świętokrzyskie Voivodeship (Holy Cross Voivodeship) since 1999, previously in Kielce Voivodeship (1919–1939, 1945–1998). The city is located in the middle of the Świętokrzyskie Mountains (Holy Cross Mountains), at the banks of Silnica river, in northern part of the historical Polish province of Lesser Poland. This is a one page site in Polish with one project site of the Old Kielce Cemetery in addition to a forum. It is included as a contact for those with ancestors in the area. We will monitor the site for expansion in the future. This site is in Polish with some English aids. To search the transcribed files go to www.warszawa.ap.gov.pl/indeksy.html and simply enter the name or a wild card version of the name you are searching. 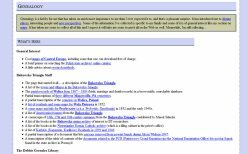 Within the tab wyszukiwarki – search you will be directed to a number of additional records. Grajewo, is a town in north-eastern Poland with 23,302 inhabitants. It is situated in the Podlaskie Voivodeship; previously, it was in Łomża Voivodeship. It is the capital of Grajewo County. In this site you will find the vital records of Holy Trinity Parish (1826 to 1870). This site is the effort of the local government. Opoczno is a town in south-central Poland, in eastern part of Lodz Voivodeship (since 1999), previously in Piotrkow Trybunalski Voivodeship (since 1975–1998). It has a long and rich history, and in the past it used to be one of the most important urban centers of northwestern Lesser Poland. The site is an example of the Catholic Church extending its metrics to the world community. This site is in Polish with no English aids, however the sidebar is in English which is helpful. In the sidebar go to “Digital Library” to find a number of links to other resources or go to “Family Search” to be taken to the LDS transcription and digitized images for this area. The site is easy to navigate but you will need a little Polish to get by. This site is in Polish with no English aids. 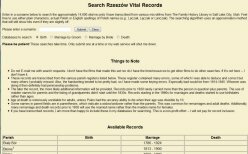 I did not find any digitized vitals here but in the tab area KSIĘGI METRYKALNE-Registry Books and CMENTARZE WOJENNE – War Cemeteries you will find transcribed church vitals, grave marker photos and comments that are worth a look for those with family in Malposkie. You may need a DJVU viewer for some of these files. For geographic definition en.wikipedia.org/wiki/Lesser_Poland_Voivodeship. This site has been recently upgraded and contains an abundance of material. 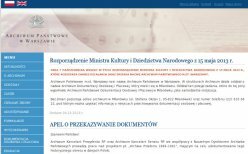 For starters click on “Zasób i udostępnianie” (Our archives and how to use them) or “Zbiory online” (Stock online) and from this point on it will be evident that there are digital copies to be opened, etc. Also click the tab titled “Dla Genealoga” this will take you to a digital library and another małopolska digital library that appears to have some cadastral maps and many, many other hot spots-links. Thanks to PGSA member Harry Kurek, for comments on this Archive. PGSA member Debbie Greenlee’s father’s family comes from a triangularly-shaped area southwest of Sanok that contains a cluster of Polish and, at one time Rusyn villages. 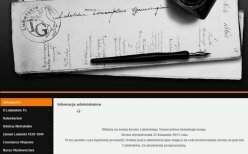 This site is full of pictures and transcriptions. In addition, we recommend Debbie’s Photos of Poland which is Debbie’s personal site that details her many visits to Poland along with photos of all the villages she has visited. The site is informative and very easy to navigate. 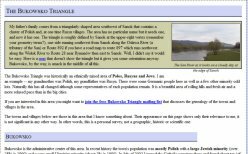 Webmaster Philip Semanchuk has developed this interesting site that provides a number of interesting links to his family in the region around Sanok in Poland and their eventual migrations to the USA. Be sure to browse the many links. In addition you will find the Debbie Greenlee library and a wealth of transcriptions from the churches of the area. The site is informative and very easy to navigate. This privately managed site contains in excess of 14,000 birth death and marriage transcription for the villages in the area around Rzeszów, Subcarpathian Voivodeship in southeastern, Poland. The site is very easy to navigate and worth a look if your family is from this area. Family Search Wiki is a community website dedicated to helping people throughout the world learn how to find their ancestors. It is easy to navigate and contains a wealth of information on resources available on line to research your Polish ancestors. Click on the “Poland Online Records” dialog box to link to a current listing of Polish vitals currently available. You will also find links to various transcription sites and learning opportunities available to researchers of all levels of expertise. This English language site is coordinated by Marie Dallas who is the administrator:[email protected]mcast.net and creative consultant and co-founder: Donna Pointkouski. The link above will take you directly to the transcription project, but it is well worth your time start at the beginning www.rootsweb.ancestry.com/~polwgw/ and explore the many tools available to the researcher. PGSA Member Al (Brian) Wierzba’s blog and research site has been a helpful tool for the novice or senior genealogist for a number of years. It is easy to navigate and contains excellent instructional information on how to navigate Polish Language Sites. Well worth a Look! This site is in Polish with no English tabs. Its focus is Central Poland (Russian Partition). I found an interesting aid to translate Polish names to Russian and vice versa but no filmed or transcribed records as of 8/18/2013. You will find in the navigation sidebar under Projekty -> Polegli w 1 wś – Polegli w pierwszej wojnie światowej. This site contains malware, therefore the link to this site has been de-activated. This is an English language site and is very easy to navigate. 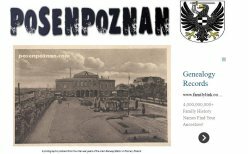 Although it does not contain any digitized vital records it does present a collection of photographs of the Province Posen. The site deals with the province from the German perspective. This informative page was created by Bruce & Marge Sandlier. It contains detailed information on the Galus and related families originating in Galicia. Scroll down to Polish Records for a number of transcriptions from four Polish Churches. This page contains a wealth of information on the area. “Genealogia Polaków – Dynamiczny Herbarz Rodzin Polskich, drzewa genealogiczne, biblioteka, poszukiwania” – Genealogy of Poles – Dynamic Armorial of Polish Families – contains millions of units of information such as biographical notes, photos, genealogy, lists of names, dictionaries. There are many family genealogical trees and in the tab Databases a detailed list of property owners in 18th and 19th century Poland. The Partitions of Poland or Partitions of the Polish–Lithuanian Commonwealth were a series of three partitions which took place in the second half of the 18th century and ultimately ended the existence of a sovereign Poland and Lithuania, its partner in the Commonwealth, for 123 years. The partitions were conducted by the Russian Empire, the Kingdom of Prussia and Hapsburg Austria, which divided up the Commonwealth lands among themselves progressively in the process of territorial seizures.